DK-LOK® continues to expand its product offering. 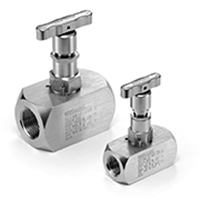 DK-LOK’s® VG16 series utility valves Isolate and vent the system media in instrument air, nitrogen header, lube oil, and general utility service applications in the oil and gas, chemical, petrochemical, and other general industrial markets. Contact your local DK-LOK® representative for more information.